BENTONVILLE, Ark. — In the 1980s, Walmart was the archvillain of capitalism: the ruthless killer of main streets and mom-and-pops, outrageously profitable and, by all appearances, unstoppable. Now, the 57-year-old retailer has a new role in American society: the anti-Amazon. What's happening: Amid a decade-long era of heady corporate profits, vast numbers of workers feel untethered, distrustful and without a sense of belonging and dignity. Amazon, like the rest of Big Tech, is being swept up in this crisis of faith, villainized for its very bigness. In many ways, Amazon is quickly becoming the new Walmart — demonized for killing malls, bookstores and toy shops, and feared by industry after industry for the off chance it may decide to swallow up yet another business. In New York, as we reported yesterday, Amazon is the target of a massive campaign accusing it of greed for the $3 billion in breaks it has received to build a new headquarters employing some 25,000 high-paid workers. Walmart — at least in rhetoric — is attempting to move into the breach. Out of sheer necessity to survive the Amazon juggernaut's retail onslaught, it is casting itself as the foil. With $500 billion in revenue last year, Walmart remains by far the biggest company by sales in the U.S., and is no less ruthless than it ever was, Hyman said. Its own e-commerce business is ballooning every quarter. 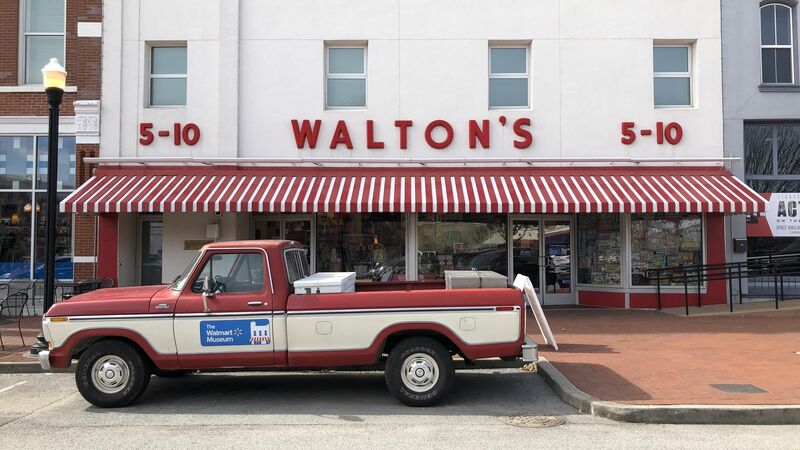 Yet Walmart's rebranding appears to have traction: With a network of some 4,700 stores that are within 10 miles of 90% of Americans, Walmart is perhaps better positioned than any government agency, think tank or company to take the economic pulse of the U.S. It is using that on-the-ground presence to position itself as a champion of distressed and alienated America. On stage at a conference in Bentonville today, Walmart CEO Doug McMillon sat across from New York Times columnist Thomas Friedman, who asked him the ultimate question: How will you stay relevant? McMillon said: "There’s a strong and heavy dose of humanity in it. ... A differentiating characteristic of our company will be that we still care about people, and they know it." Walmart, McMillon said, wants to be the most trusted company in the U.S. When people walk into a Walmart, he wants them to feel, "I belong here." His themes squarely attack weaknesses that economists have criticized in the current U.S. system: that Americans feel less and less a sense of esteem and belonging, whether it's to a job or community.